Amazon is one of the best places to do your holiday shopping; low prices, fast shipping and the biggest selection of any retailer ever made many lives easier this season. But one user who claims to have received a stolen iPhone from the online bookseller would likely disagree. Tweeter Ben Dreyfuss claimed on Tuesday morning that the iPhone he bought for his mother turned out to be hot - i.e., it was not acquired honestly. He learned of the device's unsavory history when his mother tried to activate the iPhone with Verizon, representatives of which informed her that it had been blacklisted. Dreyfuss tweeted that the iPhone in question had been listed on Amazon's warehouse deals as refurbished. He claimed that it originally came from an Amazon trade-in; in other words, someone likely stole the phone and sold it to Amazon. Should Amazon be responsible for checking whether the merchandise it sells is hot? Probably. Either way, Dreyfuss reported on Twitter that Amazon had instructed him to return it and was "very apologetic." 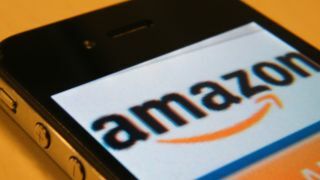 TechRadar has reached out to Amazon to determine exactly what its policy is in such a case, but the retailer has yet to respond. Hopefully, his mother understands why she received illicit goods for Christmas - maybe try a swap meet next time, Ben?